Filled with hazelnut cream and real pistachio pieces between two wafer layers! Eti Bidolu introduces a brand new experience for wafer lovers. 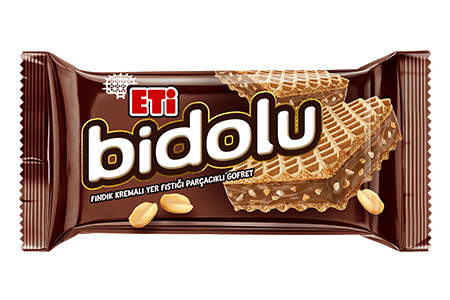 For the ones who look for innovation and delight in wafer with its Bidolu cream between two wafer layers: Eti Bidolu!